The 4th Global Forum on Migration and Development (GFMD) will be held in Puerto Valarta, Mexico in November 2010. In line with continuing the process of engaging the migration and development discourse, MFA and Migrants Rights International (MRI) are working in cooperation with Red Internacional de Migración y Desarrollo (RIMD) and Instituto de Estudios y Divulgación sobre Migración (INEDIM) to organize the 2010 Peoples Global Action on Migration Development and Human Rights (PGA). The PGA is an alternative space for civil society organization to dialogue and tackle issues not discussed by the official GFMD process. The PGA builds upon previous parallel events organized by MRI and MFA from the first GFMD in Brussels, the second meeting in Manila and the third meeting in Athens. The PGA seeks to foster more inclusive, transparent and autonomous forms of participation from key sectors of civil society. This year, the PGA especially aims to enhance the participation of migrant and migrant support organizations, trade unions, development organizations, the academe and media. To link the PGA and the GFMD with complementary processes and events on migration, development and human rights. This is so that the GFMD can move forward and transition from an isolated annual event to a process in which diverse regional and global activities and conferences, related to development, human rights and migration converge to allow the creation and implementation of public policies, which foster a more balanced and productive dialogue between migrant origin and destination countries. To reform the model of GFMD participation, in order to ensure wider representation of civil society. 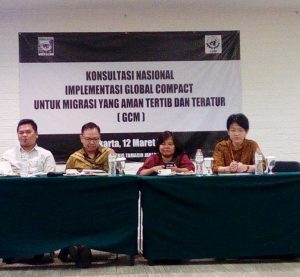 To develop a thematic agenda that facilitates a greater balance between Northern and Southern perspectives on migration, development and human rights. This autonomous gathering is intended to provide civil society with the opportunity to introduce topics representative of their own priorities, as well as to complement the government-established agenda. To incorporate a human rights perspective into the core of policy discussions. The PGA has grown tremendously over the past few years since our first parallel event during the UN High Level Dialogue on Migration and Development (UNHLD-MD) in New York. This year in particular, the PGA gained recognition from the Mexican Government to be an official part of the entire GFMD process and events. 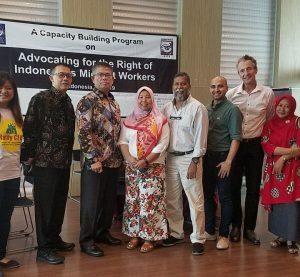 This is an enormous endorsement of the process MFA and MRI have embarked on to engage a much broader section of civil society and raise human rights as a crucial element within such international deliberations. The objective is to promote a more integral vision of migration and to place the causes for it in the center of the analysis; first, by documenting the contributions of migrants to the destination countries; by presenting an evaluation of the costs and benefits for the countries of origin; and, finally, by examining the negative effects on the development of restrictive migration policies, and focusing on security, with the ultimate goal to devise measures for improving these policies. The exponential growth of migration of highly qualified workers at the end of the 1990’s called our attention to another intersection between development and migration. The developing countries of the South provide the developed countries of the North, with highly qualified human resources and scientific expertise, without receiving, even the most minimum of benefits, proportional to their contribution. Although this topic is not new, it gained relevance in the context of global competition for innovation. It is worth noting, that the existence of the emerging geography of systems of innovation was put in place to reinforce the asymmetries of developing and developed nations. The knowledge developed by the PGA on this subject gives the GFMD the opportunity to discuss the subject matter and to explore avenues for cooperation, which is especially relevant for the developing countries. Migration is not a phenomenon isolated from climate change and environmental degradation. The current increase in the frequency and extent of extreme weather events, such as hurricanes, flood and drought, causes the relocation of millions of people. Some estimates indicate that by 2050, the number of environmental refugees will reach 200 million, thereby doubling the present migrant population. There is no doubt that there exists an urgent necessity to better understand the relationship between migration, climate change and environmental degradation. Just as urgent, is the ability to address the high level of vulnerability of these migrants as a result of the extreme poverty and lack of development. Consolidating networks and movements of migrants on a national, regional and international level is important in order to promote a more coordinated and effective action for setting an agenda of public policies and the defense of human rights based on the experience of the migrants themselves; all in the hopes of creating a favorable environment to exchange experiences and proliferate strategies; and to create a broad community of advocates, involved at various levels, with common objectives. From the conviction that migrant movements and networks are a powerful voice for promoting development in an era of global crisis, and for turning governments towards progressive migration, human rights and development policies; the PGA calls upon organizations and migrants networks to explore experiences, foster ways of working together, establish the basis for a community of advocates to share strategies to achieve social and economic justice in the world. The PGA will be held in Mexico City on 4-5 November prior to the official GFMD process in Puerto Vallarta, Mexico.